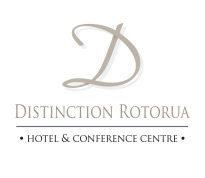 Distinction Rotorua Hotel & Conference Centre is just a short drive away from Rotorua's top activities and attractions and boasts a gorgeous garden setting, where your delegates can relax by the pool for morning/afternoon tea or lunch. With 6 separate on-site conference rooms, the purpose built Fenton Conference Centre can cater for up to 500 guests. Rooms include the grand ballroom, Kauri Function Room, private Boardroom, Cards Lounge, breakout areas, outdoor areas and a large Exhibition Foyer. We also offer plenty of FREE off-street car parking and complimentary, secure mountain bike storage. Distinction Rotorua also presents a full range of superior accommodation options, each offering a modern ensuite bathroom, SKY TV with news channels, complimentary refreshments and FREE unlimited WiFi. Our stylish hotel suites boast separate bedrooms, generous living and dining areas and balconies with views. ​ Enjoy great facilities, top-quality hotel accommodation, and a daily delegate rate, including venue hire, morning and afternoon teas and lunch. Distinction Hotels are 100% New Zealand owned and operated, so our manner is down-to-earth and completely focused on your needs. With your own experienced Conference Specialist, dedicated team of staff, a great selection of food and beverages, you can be assured that everything will be taken care of and we will put together an unforgettable conference for your delegates. "Dear Helene, just a wee something to say thank you so much for all your work during our conference. Everyone has commented how fantastic the staff were, the fab food and the hotel just in general. I really appreciated your easy going style and your whole team and all the hotel staff are to be congratulated on an awesome effort - so THANK YOU "
Scroll down to discover more details about our flexible Rotorua function venues, download Distinction Rotorua's Conference Pack or contact our Conference Coordinator for more information about hosting your meeting, conference or event in Rotorua - phone: +64 7 349 5200 or conference@distinctionrotorua.co.nz. Need Flexibility? 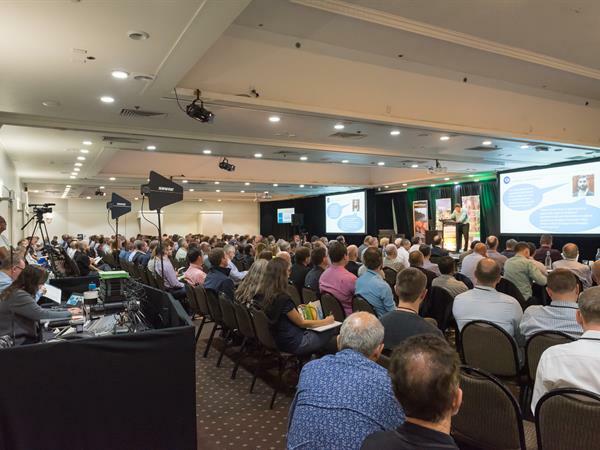 The Distinction Rotorua team will work with you to adapt their range of venues and spaces, creating a personalised conference package to suit your needs. Host your next event at Rotorua's largest hotel-based conference facility. Host your next event at Rotorua's largest hotel-based conference facility...We work with you to adapt our spaces, creating a personalised conference package to suit your needs. Need Flexibility? A flexible conference and event venue that consists of 3 rooms that can be hired independantly or opened up to create a ballroom for hosting up to 500 delegates. Also has an Exhibition Foyer attached which is great for trade shows. Located inside Distinction Rotorua's Fenton Conference Centre the Kauri Room can cater for up to 200 delegates. Attached to the Fenton Conference Centre at Distinction Rotorua is a spacious Exhibition Foyer which provides an area for trade shows, registration, displays, catering, breakouts and it is equipped with a built-in bar. A versatile Rotorua conference and meeting room which is ideal for smaller meetings of up to 60 people, located adjacent to the hotel's D-Bar. Distinction Rotorua's Boardroom is located on the ground floor of the hotel and is the ideal intimate meeting venue with the capacity to seat up to 8 people.